The following is a selection of companies supplying circus equipment that have been recommended to us. When you're buying circus equipment (and particularly a complete rig) you'll almost certainly want to take some advice or get a recommendation before choosing a supplier. 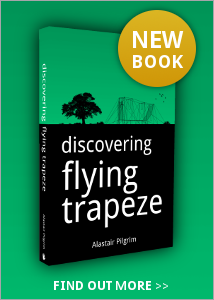 We suggest you start by contacting your local flying trapeze school for advice. The list below is provided to help narrow your search. Be aware that the safety standards vary from country to country (in particular the standards in the EU are stricter than in the US). Make sure you seek advice before purchasing something that might not meet the standards in your country. Feel free to contact us if you'd like some help - particularly about purchasing full sized rigs in Europe, although we can't offer technical advice. Bobby provides complete full sized trapeze rigs to clients worldwide and has an impressive client list on his website, including the Superclubs Resorts. 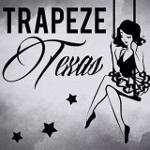 This trapeze school in San Francisco also manufactures circus equipment including full sized trapeze rigs. This company makes full sized trapeze rigs for school and professional use. They can customise the equipment based on your requirements, and also ship internationally. Company run by Peter Gold offering construction of full sized flying trapeze rigs. This supplier in Canada offers bespoke acrobatic equipment and safety nets. This company makes innovative airbags to replace flying trapeze nets. Equipment manufacturer based in Quebec. Designs and produces equipment to order. This is an excellent company offering a huge range of circus equipment (up to Petit Volant - no full sized rigs). They have a good catalogue and will ship worldwide. A lot of the circus schools in Europe use this brand. This company provides high quality bespoke flying trapeze rigs and other circus equipment (as well as a variety of rigging services). They are one of the suppliers to Club Med. This company has a good range of juggling and aerial equipment for order from the UK. This company offer bespoke equipment including full sized flying trapeze rigs. Their website is very simple, so you should contact them directly to enquire about specific items. Based in Paris, France. This company offers a large range of juggling supplies and is also able to provide static trapezes and other aerial equipment (including full sized flying trapeze rigs) on request. Juggleart are a major importer/supplier of circus equipment in Australia. They sell Unicycle products and also make and source a huge range of local products. MACA is the current supplier of flying trapeze and circus equipment to Club Med in the Asia zone. They provide full size rigs as well as a wide range of other equipment.